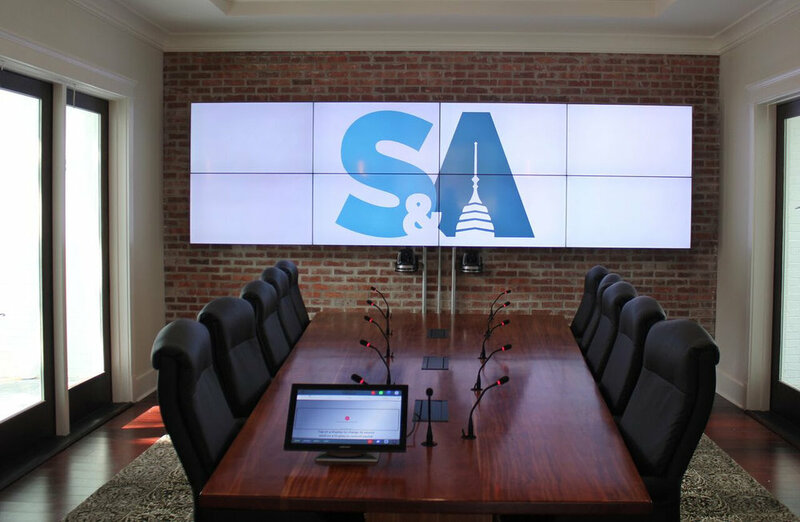 When the owner of the Sudduth & Associates law firm in Lake Charles, Louisiana, moved into their brand new headquarters, he wanted to incorporate a multi-purpose boardroom that allowed patrons of the legal community to make presentations, discuss evidence, and conduct depositions. To do just that, he called on North America's leading commercial AV integrator, Advanced. Sudduth continued, “When I began telling the team from Advanced what I wanted to see in this conference room, they looked at me and said, 'James we have seen this in New York and Los Angeles, but the fact that you want to do this in Lake Charles is awesome!' I am proud to say with the help of Advanced we have brought the future of the practice of law to Lake Charles, Louisiana."